Since first picking up a camera while traveling overseas in 2015, Andrea Chvatal has found taking photos to be a nature combination with her love of live musical performances. Though she most enjoys the energy and unpredictability of the metal and rock genres, she has a high appreciation of live music in general. Her favorite aspect to capture is the raw emotion behind both the artist and the crowd at each show. 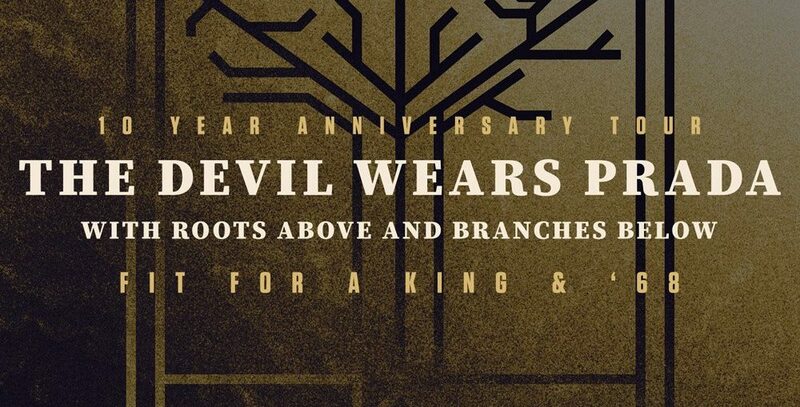 Article and Photos by: Andrea Chvatal Atlanta, GA — The Devil Wears Prada brought along a stacked lineup of friends for their 10 year celebration tour of the With Roots Above and Branches Below album. Starting off our evening is a 2-piece rock band coming back to play a hometown show in Atlanta, 68. Article and Photos by: Andrea Chvatal Atlanta, GA — Rounding out the Thanksgiving weekend, With Confidence and friends rocked The Masquerade during their American cross-country line up for the Love and Loathing in Paradise Tour. To open the evening, we had the up and coming indie pop-rock band from Myrtle Beach, Small Talks.